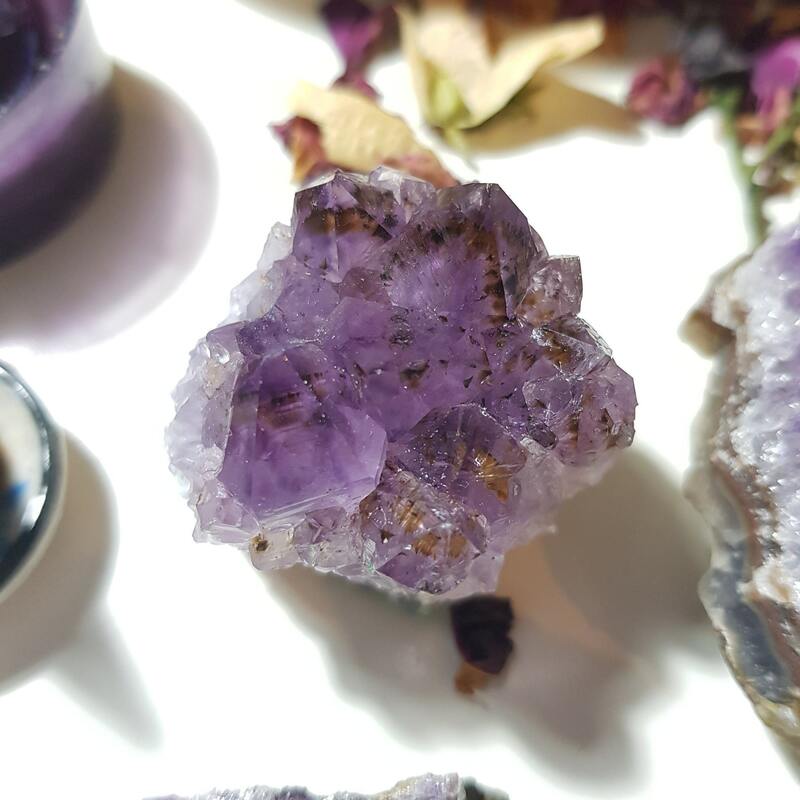 Amethyst is a natural stress reliever that brings protection and spiritual growth. 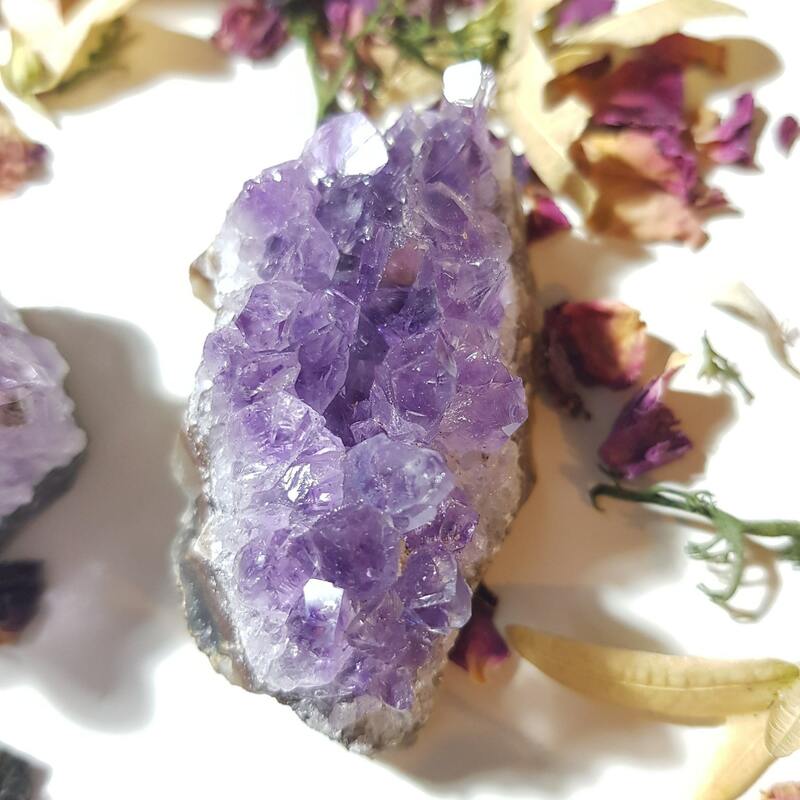 It rids your home and body of negative energy while attracting positive energy. 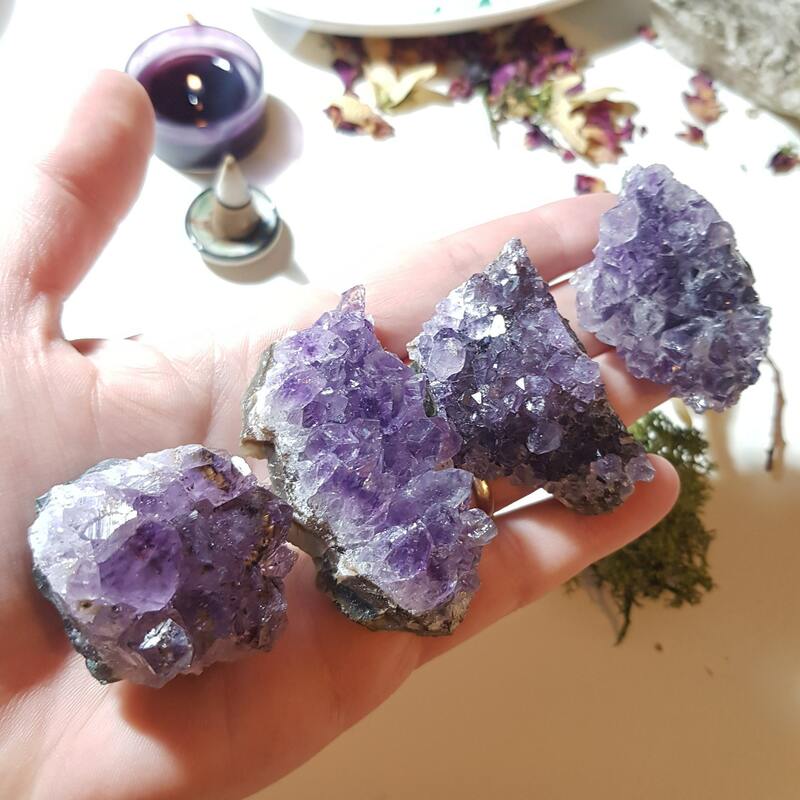 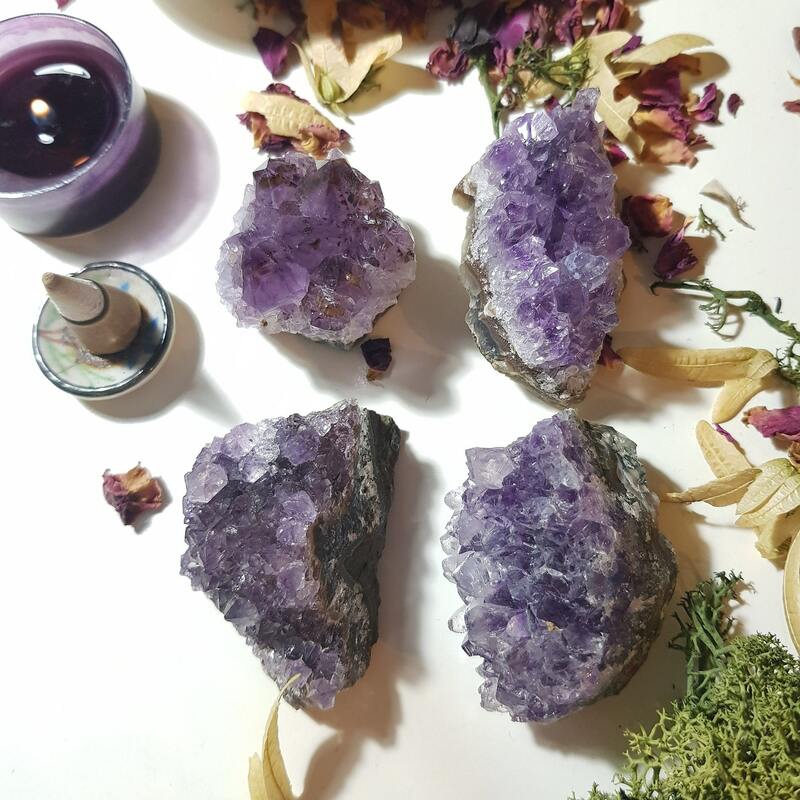 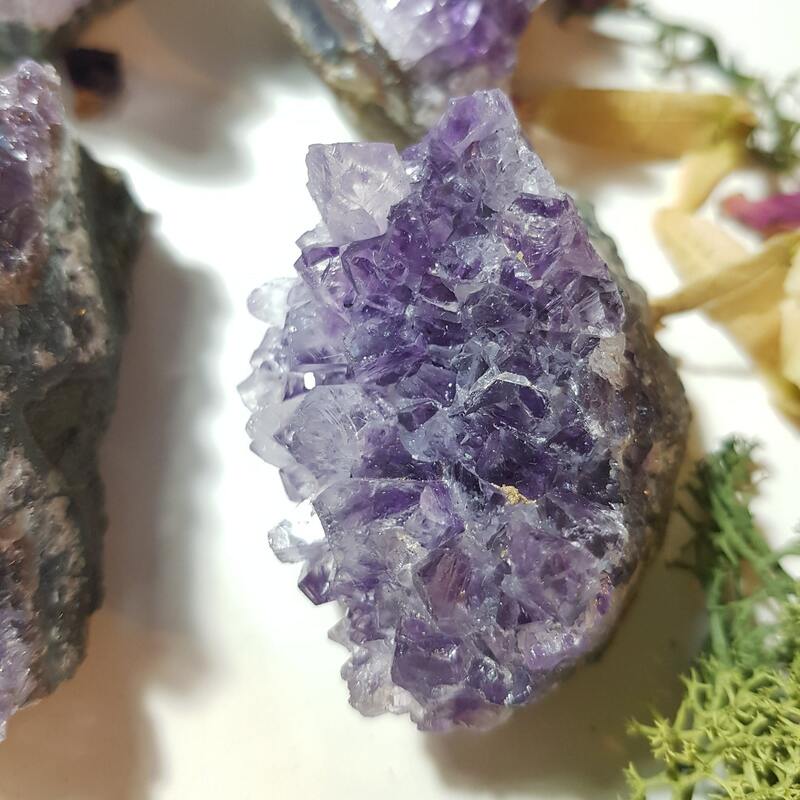 Amethyst cluster measures approx. 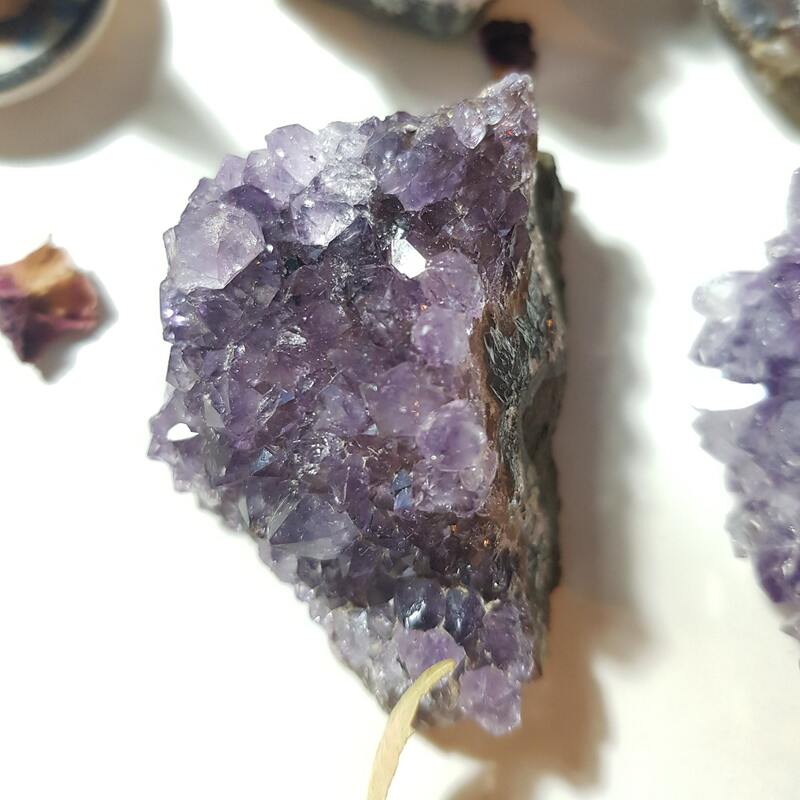 5cm to 4cm.